Browse today's newest Palliser homes for sale in Calgary! Palliser is one of Calgary’s popular residential neighborhoods in the south portion of the region. 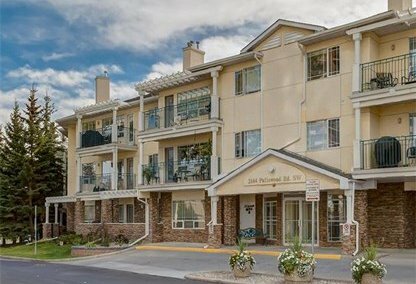 It’s an easy 6Km away from downtown Calgary and is considered a prime location. It will only take a 15-minute carried to get to the center of the city. This community is home to some of Calgary’s most expensive single-family homes. For information about Palliser homes for sale call your Palliser Calgary real estate team today. Palliser housing market statistics: As of April 22, 2019 there are currently 16 properties for sale in Palliser listed as active, with an average asking price of $406,100. The highest-priced property is $657,000; the lowest priced property can be purchased for $220,000. 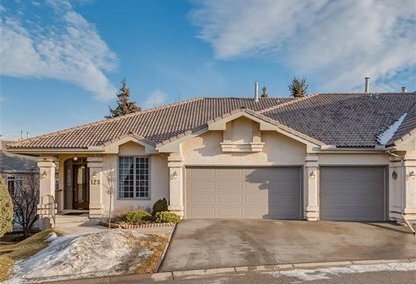 Palliser neighbourhood listings have an average price of $308 per square foot, based on listings with 2.7 bedrooms, 2.6 baths, and 1,313 square feet of living space. Thinking of selling or buying a home in Palliser Calgary? Call Justin Havre at RE/MAX First - 403.217.0003. Our community of Palliser real estate agents will help you navigate the Palliser housing market in Calgary. The community of Palliser was established in 1967 and is represented by Ward 11 Alderman Brian Pincott in the Calgary City Council. It was named after Captain John Palliser, a Canadian geographer and explorer. The neighborhood was annexed to Pump Hill until 1991. It boasts an extremely low crime rate and has easy access to the Crowchild and Deerfoot neighborhoods. Palliser real estate has 24th Street SW to its west, Southland Drive SW to the south, 19th Street SW on the east, and 90th Avenue SW in the north. Real estate prices in the neighborhood have an average cost of $414,288. Ordinary homes in Palliser have an estimated area of 1,489 square feet with 2-3 bedrooms and 2 bathrooms. In 2000, 40.1% of residential homes in the area were apartment and condominium buildings. The community has about 36.8% of its homes available for rent. The median household income in the area was recorded at $57,603. The neighborhood has many old luxury houses and plenty of recreational places. The neighbourhood of Palliser is near South Centre Mall, Chinook Mall, the Glenmore Reservoir and the South Land Leisure Center. These places offer quite a few opportunities for recreational activities. The popular Tom Brook Athletic Park is also located inside this community. Schools serving Palliser homes for sale include John Ware Junior High School, Nellie McClung Elementary School, St. Benedict Elementary School, and also a GATE (Gifted and Talented Education) Program. Parents also have the choice to send their children to its nearby neighborhood, Pump Hill. Planning to buy or sell a home in Palliser Calgary? Let our real estate team guide you in your search for the perfect home and professionally facilitate the sale of your existing home. As Palliser neighbourhood real estate agents, we know how to navigate the Palliser real estate market. Let's get your home sold quickly and at the highest price! Contact Justin Havre at RE/MAX First - 403.217.0003 to find out more about buyer or seller representation. Thinking of selling your Palliser home? Check out our free property evaluation tool, where you can easily view Calgary Homes Values online in moments!